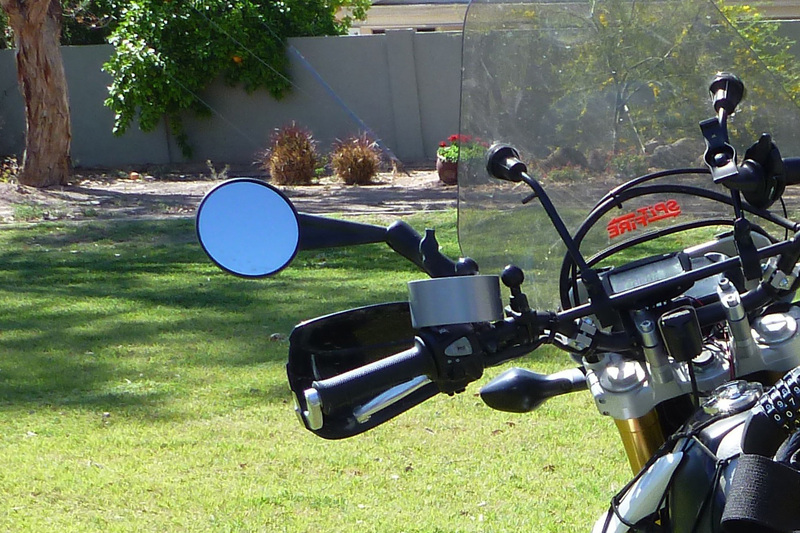 I’ve been using the original round Double Take mirrors for the last few years on various bikes, usually as a back-up mirror alongside an original mirror on the other side of the bars. 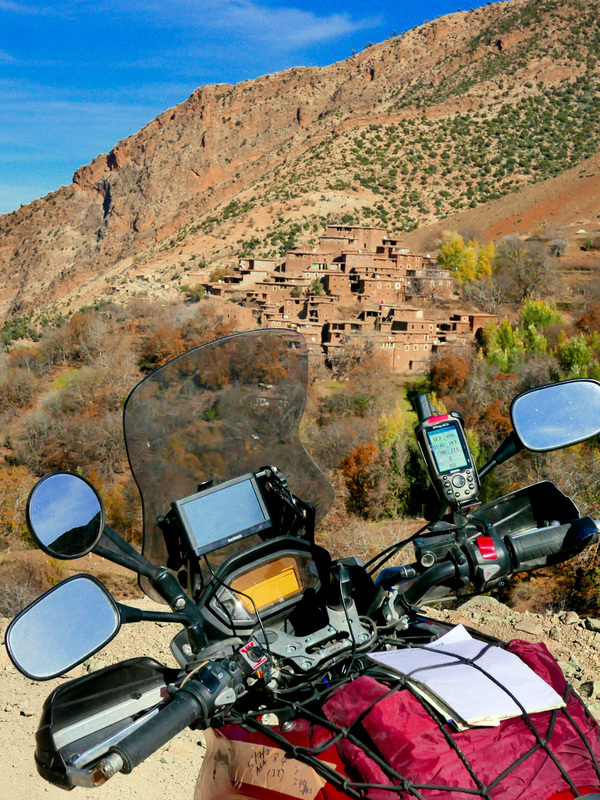 Riding down and leading groups in Morocco, a mirror is essential to keep tabs of the group, and is of course useful for all riding. The problem is the annoyance of breaking the glass, be it from a prang, a sidestand sinking in, or overtaking a little too closely. With regular glass embedded in a tough nylon shell, Double Take pitch themselves as ‘the only mirror you’ll ever need’, one that’s ‘virtually indestructible’. They mirrors work in conjunction with RAM mounts, the bombproof but expensive and pilferable mounting system of ball-ends and clamps for just about anything you got. 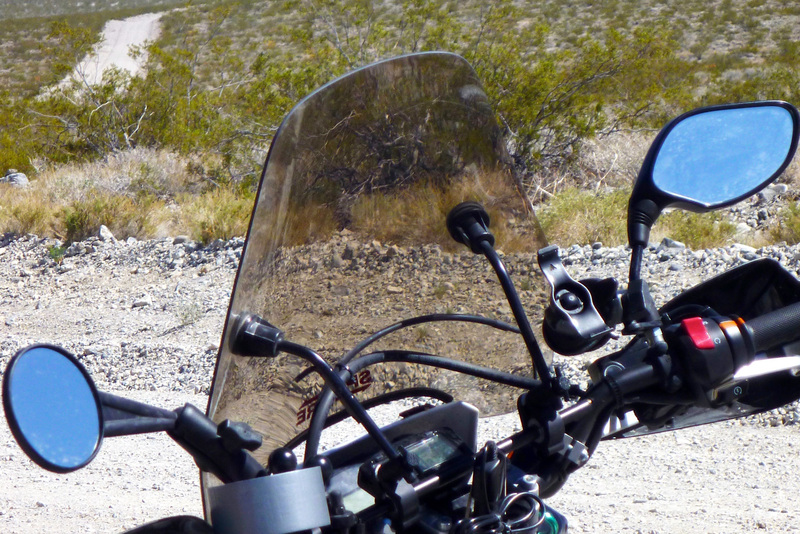 I found the original round mirror (2013 review) did what it was supposed to except blur at speed on at least four different bikes. The new Adventure model (right; Lord knows the A-word has lost all currency!) 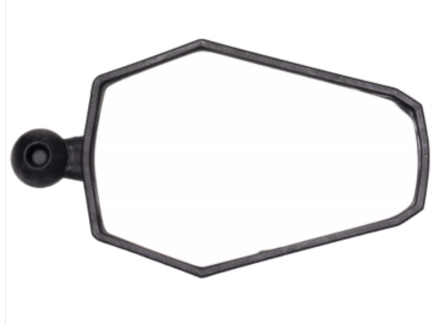 has a snazzy angular shape, but the real change here is it’s lost it’s nylon plastic stem and steers you instead towards buying a six-inch RAM arm for nearly the same price as the mirror. Let’s hope RAM has shares in Double Take. I’ve only used it a short while, but the rigid alloy RAM arm does greatly reduce the blurring of the round mirror, and the mirror’s greater width is an improvement too. 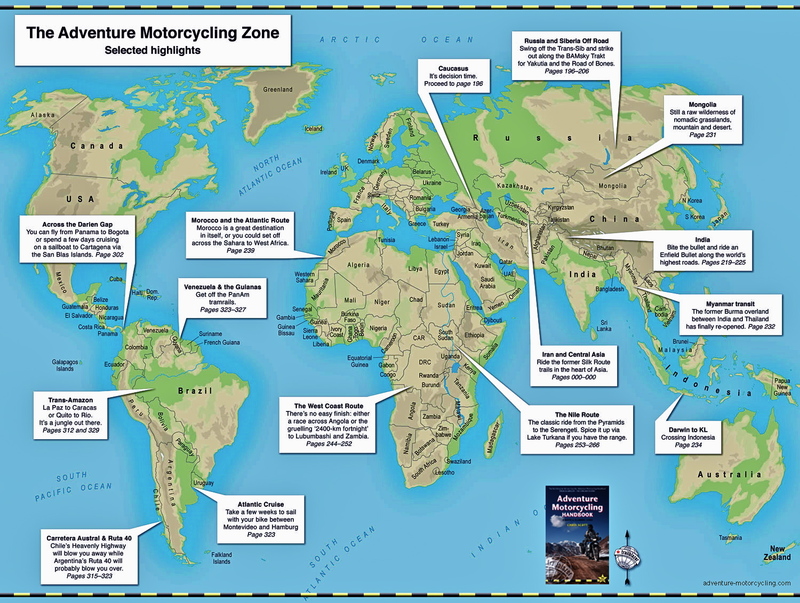 The cost and the nickability is the weak point of Double Takes on a travel bike. Any scrote who knows what RAM hardwear costs might pinch it. 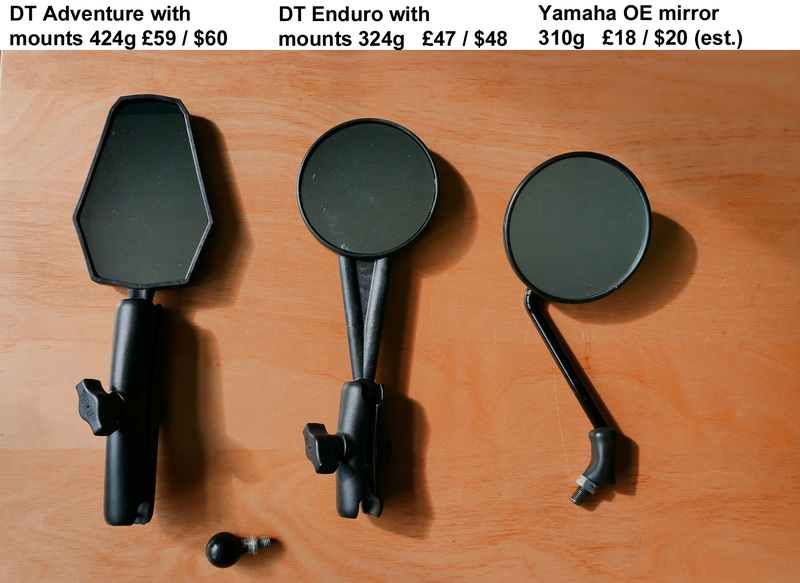 I suppose any regular bike mirror is nickable without tools, but it’s the RAM bits that people will want, not a poxy Yamaha mirror. 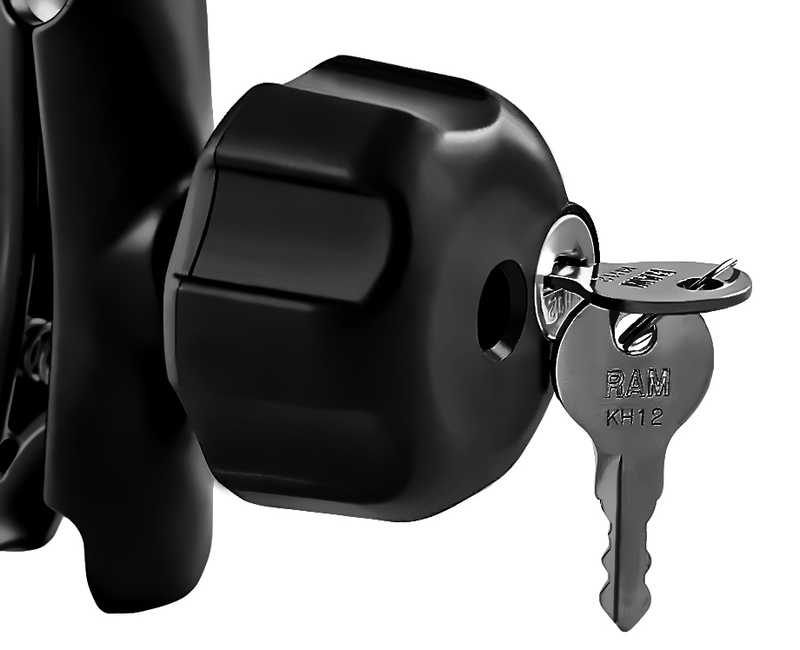 The answer is to remove mirrors in dodgy places – takes 5 seconds, but a faff; replace the screw hand adjuster with a bolt; or fit a RAM lock (right) for another $25 or as many pounds. By this time your bars are looking pretty cluttered, compared to an OS stem mirror. But once you bite the bullet – or manage to get some cheap, RAM mounts are a great way of quickly mounting and adjusting all sorts of handy stuff: sat navs, cameras and so on. There’s one for everything. 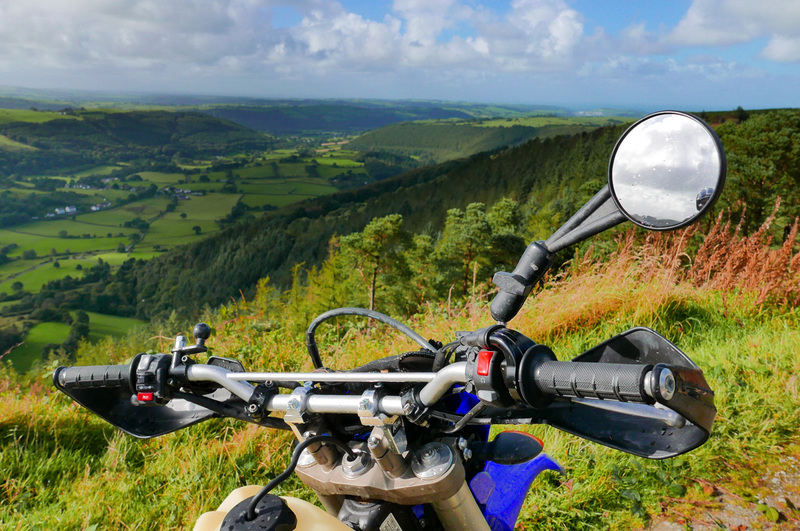 Depending on what type of mirrors you bike has, I’d say having at least one Double Take for a long journey (plus the mounts to swap sides) makes sense. Out in the AMZ you’d hope RAM mounts aren’t yet hard currency, and once you’re RAMed up for your other gadgets, fitting a Double Take makes sense, especially if you’re riding on the dirt.